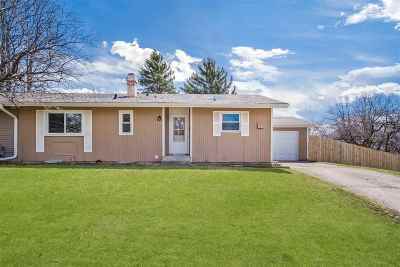 ADORABLE half duplex with many updates! New fence, deck, trim, six panel doors, kitchen island, water heater--you'll be saying "WOW!" at the affordable price. Across the street from Vandenburg Heights Park. Room to grow with space in lower level. Close to Prairie Athletic Club, restaurants, shopping and other amenities. Amazing private backyard all on a corner lot! UHP Elite home warranty included.